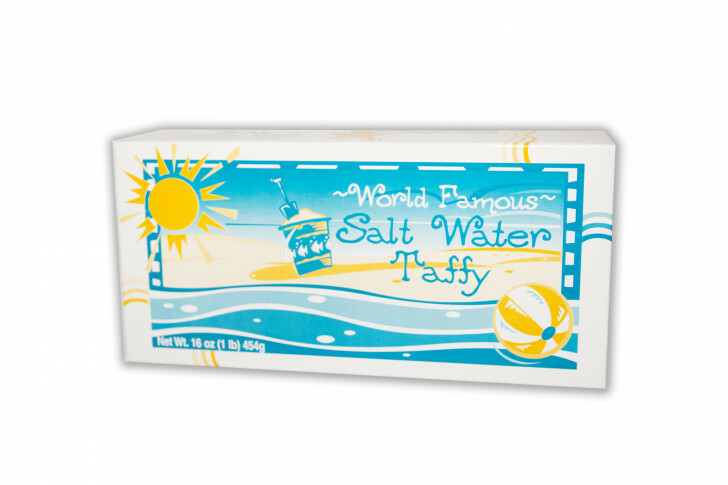 One pound of assorted "stick" salt water taffy packaged in an attractive "beach box" complete with images of crabs and the seashore. Assortment may include up to 16 flavors (approx. 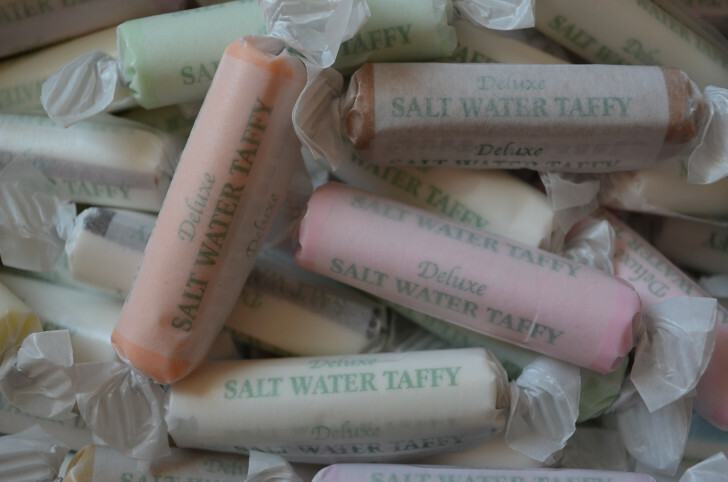 45 pieces per pound), Vanilla, Chocolate, Strawberry, Orange, Banana, Lemon, Lime, Peppermint, Spearmint, Molasses, Molasses Mint and Anise.